In Japan, there is a traditional custom to appreciate the beauty of the flowers, especially cherry blossoms (sakura) in the spring time. Yokohama is blessed with the scenery of both traditional and modern architecture which blends well with the cherry blossoms. 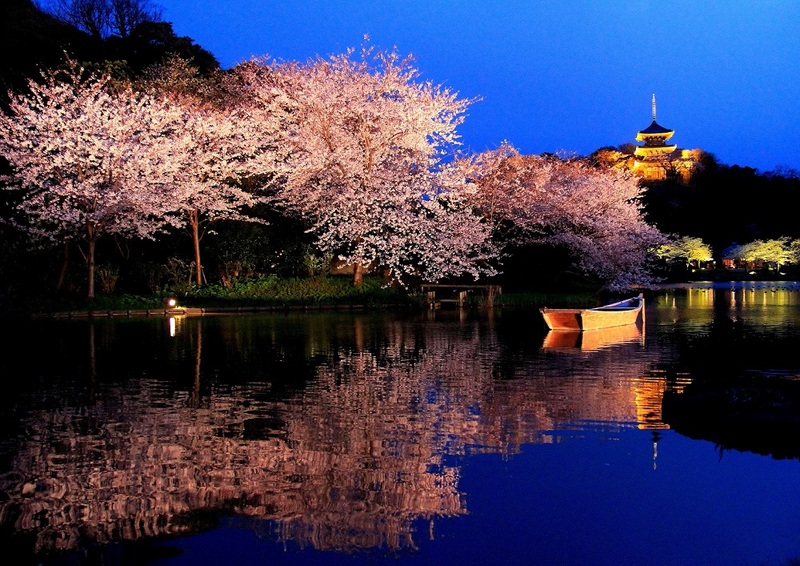 Below are the top 10 popular cherry blossom viewing spots. 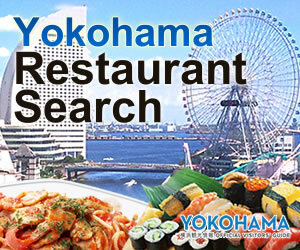 Most of the spots are free, making them affordable places to enjoy the authentic Japanese beauty. 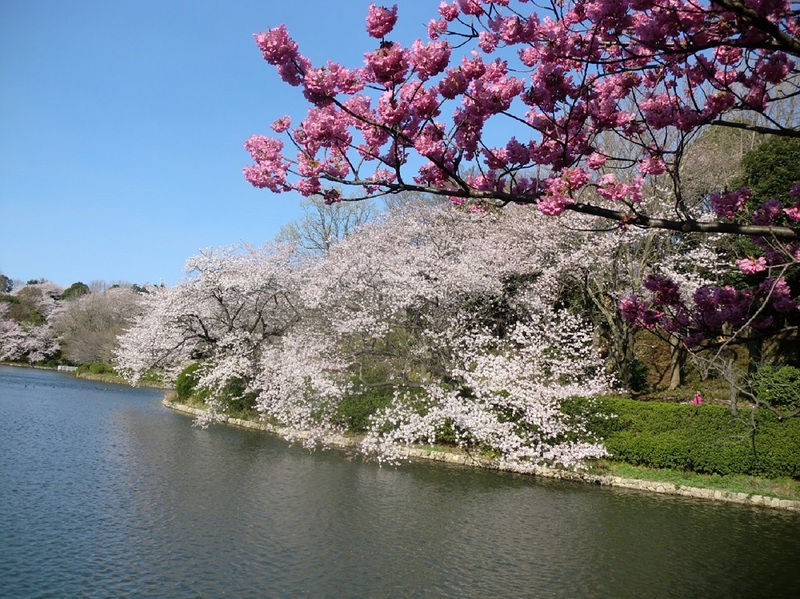 Go to our event calendar for upcoming cherry blossoms viewing events. “Sakura-dori” is a 500m of cherry‐tree‐lined street stretching over Minato Mirai 21 area. “Kishamichi Promenade” is a boardwalk consisted of three bridges over the sea which was former railway track. 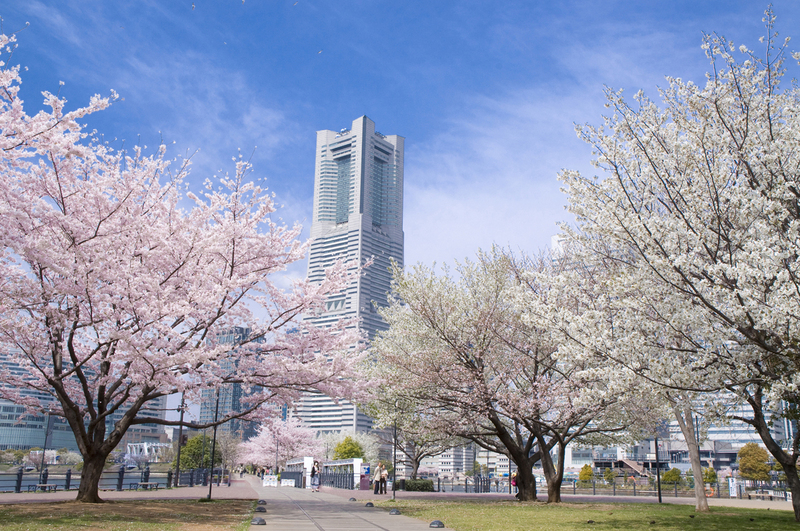 From both viewing spots, the fusion of the modern skyscrapers of Minato Mirai and the beautiful cherry blossoms can be enjoyed. During the Festa, cherry blossoms on the Sakura-dori will be illuminated by LED lights. There will also be various events held at the surrounding facilities, mainly on April 7th (Sat.) such as street performances, live music performance, and more. Come and enjoy the arrival of the spring. 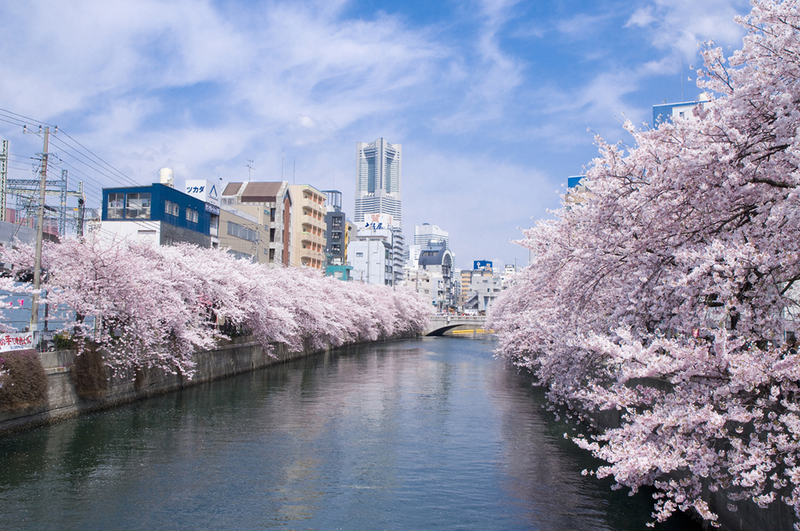 Over 200 cherry blossom trees decorate the river banks on both sides, creating one of the most outstanding cherry blossom viewing sights in Yokohama. The cherry blossom viewing can also be enjoyed from “Ohanami Cruise” boats, which cruise under the cherry blossom tunnel! The Ookagawa Sakura Festival is held in the vicinity of the river. Street stalls, event stages, going downstream by boats, and delicious sake, all of these are waiting for guests who visit. 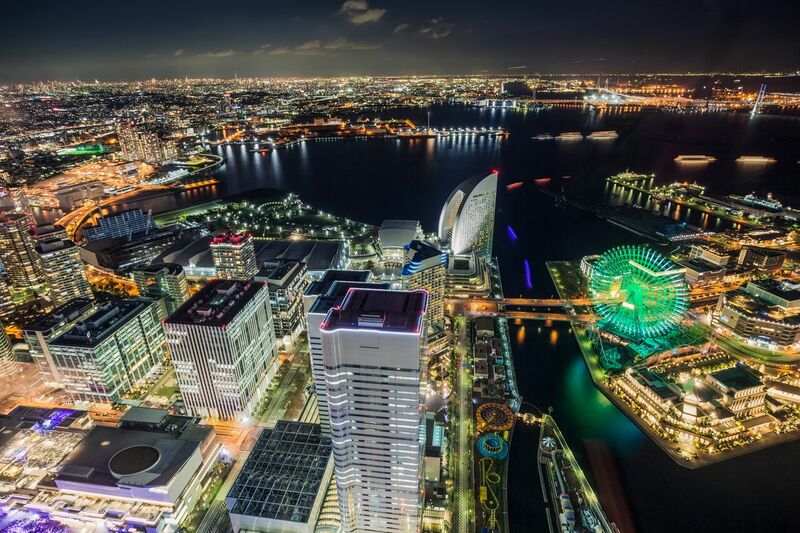 From Kamonyama Park, located on a hill 15 minutes’ walk from Sakuragicho Station, you can look out over the high rise buildings of Minatomirai 21 down below. The park is also a famous place for cherry blossom viewing, and in the square, surrounded by cherry trees, a monument to Naosuke Ii gazes down over the port of Yokohama, to the opening of which he contributed. In cherry blossom season, many people come to view the flowers, and it is one of Yokohama’s most popular spots for cherry blossom viewing parties. 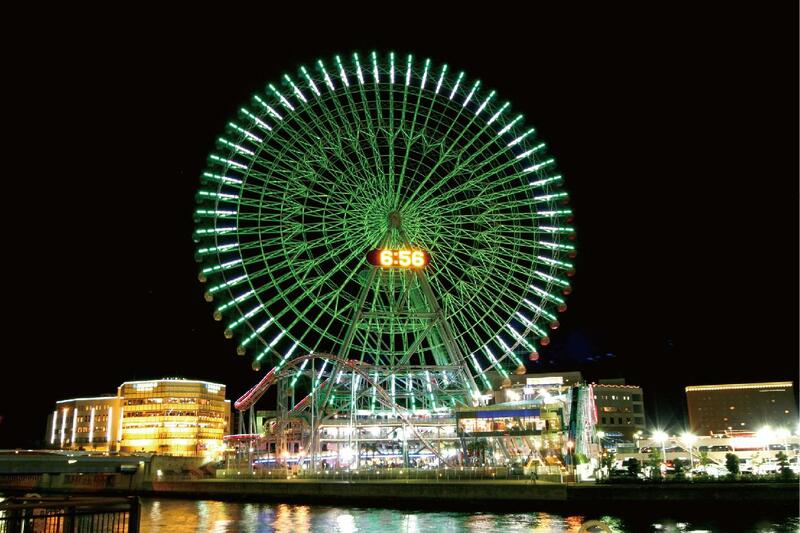 With a beautiful view of the sea, this tourist spot, one of the most famous in Yokohama, needs no introduction. 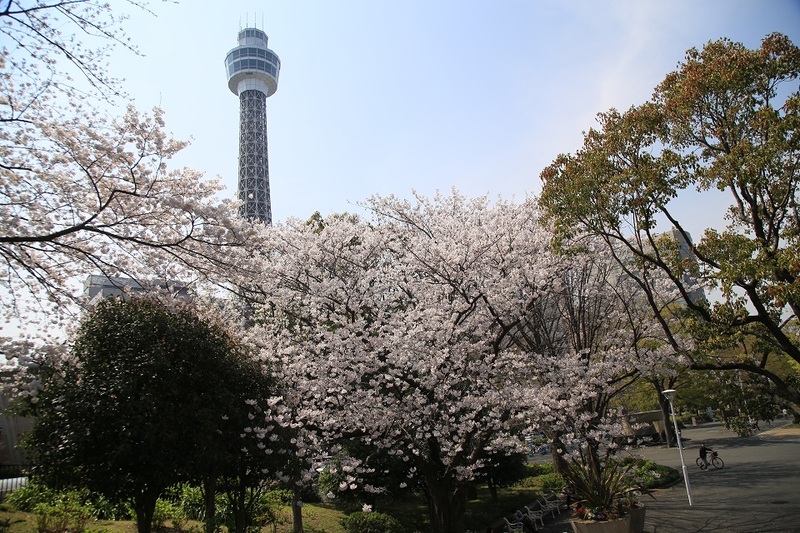 You enjoy the flowers of each season all year round in the park’s flower beds and rose garden, but in spring, this cherry blossom viewing spot is particularly typical of Yokohama, where you can take pictures of the trees with the NYK Hikawamaru and Yokohama Marine Tower as a backdrop. The cherry blossoms around the World Square on the east side of the park are a particularly splendid. 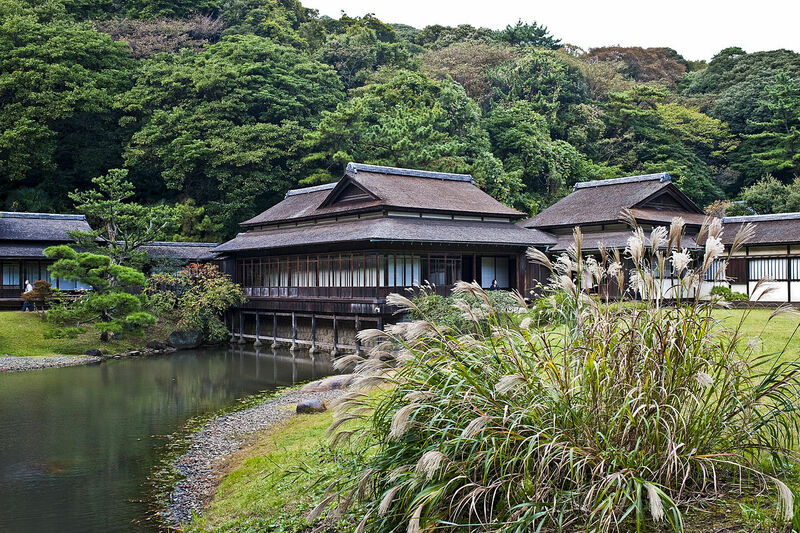 The vast traditional Japanese garden covering over 175,000 sqm. with historical buildings across Japan. The garden features numerous cherry blossom trees around the pond, offering the beautiful scenery of the authentic Japanese Spring. “Sakura (cherry blossom) Ice Cream” at the rest house is also a must-have of this season. The opening hours are extended during the full blossom season, for people to enjoy the illuminated cherry blossoms at night. (*Entrance until 8:30pm, closes at 9pm) Enjoy the beauty of the cherry blossoms illuminated by lanterns with Tomyoji’s three stories pagoda lit up on the hill top. This extensive park was built on the site which once housed the first full-scale racecourse in Japan. About 350 cherry trees are planted around a gently rolling, grassy open space. The wide lawns are a perfect spot for enjoying the cherry blossom. 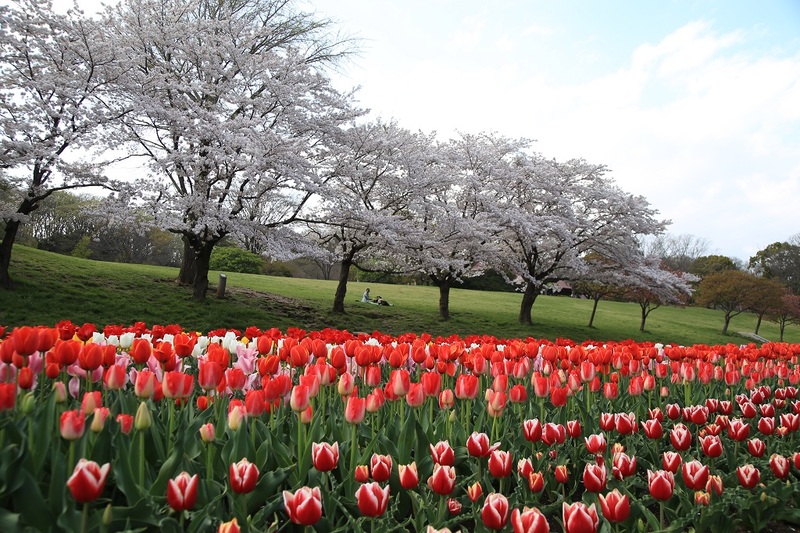 Looking at the flowers while jogging or doing other kinds of exercise within the grounds is another ideal way to enjoy Negishi Forest Park. 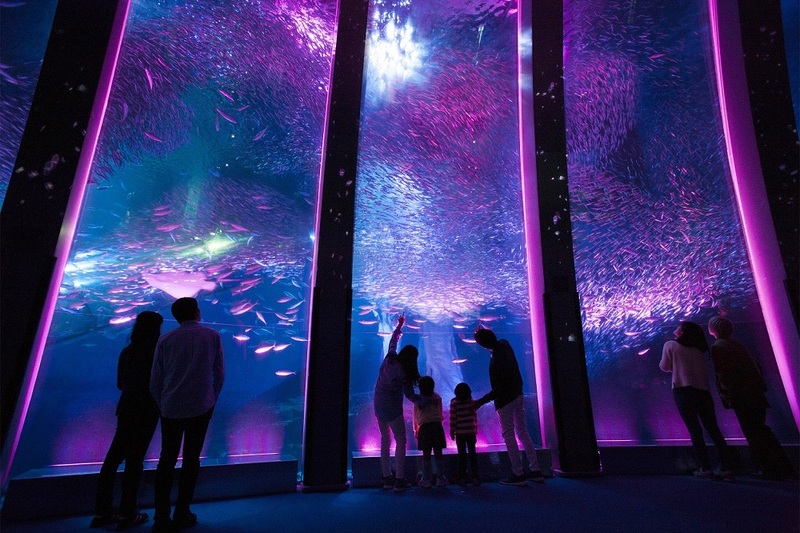 A marine entertainment island which makes the most of the unique characteristics of “the sea,” “islands,” and “living creatures,” where you can enjoy four different aquariums and a variety of attractions. You can view around 700 cherry trees of several kinds, not only Yoshino cherry but also mountain cherry, Oshima cherry, and others. 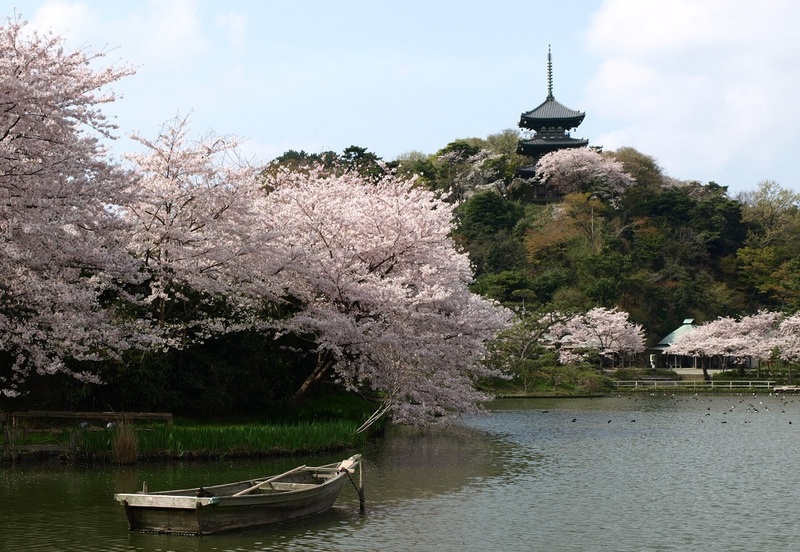 In addition, the route of the Sea Train, which links the merry-go-round and the Aqua Museum, is altered at the time when the cherry blossoms open in order to take you via a square on the hill where the cherry trees are in bloom. You will be able to sense the coming of spring and experience the fresh greenery in each location on the island. Entrance to island is free. 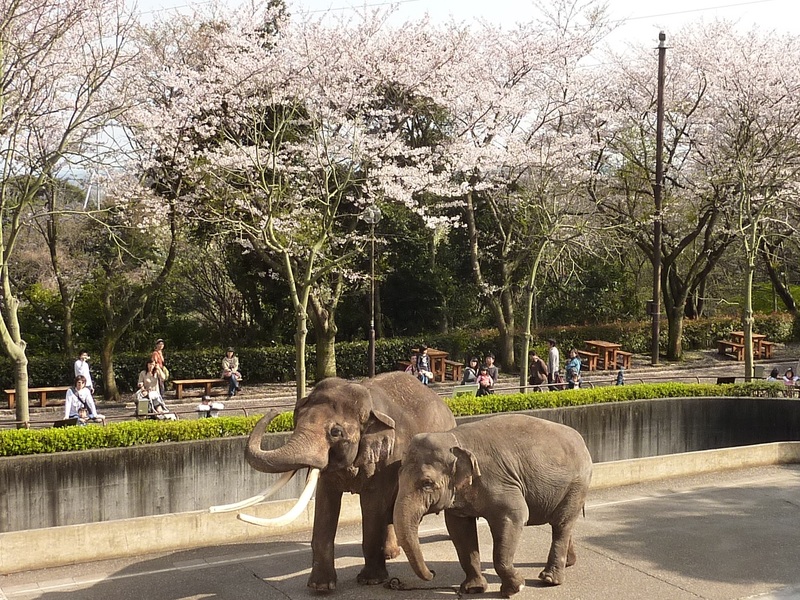 Exhibiting approximately 40 species of rare herbivorous animals, this zoological park also provides animal guides and holds “animal-feeding” and other mini-events on a daily basis. More than 2,000 cherry blossom trees of different varieties, enabling visitors to enjoy a relatively long cherry blossom viewing season. Located approximately 1.8 km northwest of Tsurumi Station, Mitsuike Park comprises three ponds. The name of “Mitsuike” came from them. It is enclosed in an abundant forest. When spring arrives, more than 1,600 Sakura trees begin blossom. The park is a well-known spot for cherry blossom viewing.